ADPC's 2020 Strategy aims to foster a more integrated approach to how ADPC operates. It is informed by the post-2015 development agenda, supporting the implementation of global frameworks, including the Sendai Framework for Disaster Risk Reduction and the Sustainable Development Goals, and commitments under the Paris Agreement on Climate Change and World Humanitarian Summit. Six strategic themes and three cross-cutting themes of disaster risk management have been identified, and these describe how we approach the global, regional, and national challenges posed by disasters and climate change, and how we intend to work towards achieving greater resilience and sustainable development. The six strategic themes are risk governance, urban resilience, climate resilience, health risk management, preparedness for response, and resilient recovery, while the three cross-cutting themes are gender and diversity, poverty and livelihoods, and regional and transboundary cooperation. 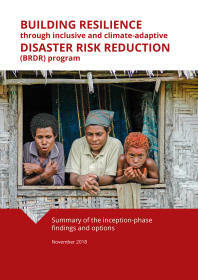 These themes interconnect to form a holistic approach to disaster risk management. 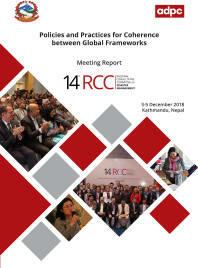 They are intersecting and multi-disciplinary, and reflect the call to the international community by different global and regional frameworks to work across sectors, audiences, and disciplines to address all aspects of disaster risk at all levels.